As if the trauma of hearing and feeling your car hitting another vehicle were not traumatic enough, often the ensuing complications you’re faced with are just as stressful. We’re here to take the weight off your shoulders after your car wreck. Because you need legal protection after an accident. Legal protection from what? Insurance companies, whether your own or the other party’s are not in business to hand out money. They are in business to make money and they know how to make it very difficult for you to collect. Insurance claims on car accidents get denied in Texas all the time. 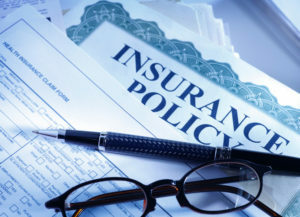 Insurance companies have many ways to legally deny a claim. An attorney with substantial accident experience knows how to fight for your rights with the insurance companies. A truly competent lawyer will even take an insurance company to court on your behalf when necessary. In short, the right attorney will make sure you get every penny that you deserve regardless of the tactics that an insurance company may use to prevent it. Law Office of B. Ward Maedgen, P.C.? You know that you need a lawyer to protect your ability to recover a settlement. But not every personal injury lawyer brings the same level of experience to your case. An attorney with very little Texas accident claims experience will likewise have fewer strategies and insights to draw upon. Why are strategies based on experience so important? Simply put, you will rarely get a fair offer when you try to work with an insurance company without a lawyer or without intense hardship. The same may be true if your attorney lacks the strategies to deal with tougher cases. Consider the additional security you’ll feel knowing that your attorney is also a former assistant district attorney with hard experience in the courtroom. If your case warrants, our firm will not hesitate to take it to court where Ward will fight hard for you. Thanks to our considerable experience in the Texas law system, we aren’t intimidated by any situation or company. Protecting your interests is our mantra and it fuels everything we do regardless of how difficult your case may be. Consider the additional security you’ll feel knowing that your attorney is also a former assistant district attorney with hard experience in the courtroom. The best way is by giving us a call. However, if you were hit by another vehicle and were not at fault, you are likely entitled to compensation. Often, cases come to us in which the other driver was not insured or was under-insured. Texas insurance policies are required to have provisions for this. These situations particularly warrant legal help. Every case is unique. Since we offer free legal help up front with a consultation call, then why not pick up the phone and find out if you have a case? How Much Does a Car Accident Lawyer Cost in Dallas? We are only paid when you collect on your claim. You’ll have no out of pocket legal fees upfront. The firm will even front the costs of litigation while we work on your case. We strongly urge you to book your free consultation with Ward. The success of your case may depend on vital legal counsel his firm can provide. With literally millions of car accidents taking place every year across the nation, it’s more than likely that you will, at some point, be involved in an accident with another vehicle. In fact, over 30,000 people die from such accidents every year in the U.S., with another 1.5 to 2 million suffering serious injury or disability according to the Insurance Institute for Highway Safety. When people are injured in a serious auto accident, it’s important to have the proper information and the right legal guidance to get the compensation you deserve under the law. Ward Maedgen is a car accident attorney serving clients in the Dallas, TX, region. How to Handle the Insurance Company? The first thing you should do when you’re involved in an accident is contact your insurance company. While in most cases you have up to 72 hours to report an incident, there can be variations between individual policies and carriers. You are always best advised to report your accident as soon as possible. Failing to report an accident to your insurer can result in refusal of coverage for the incident as well as your company potentially dropping you as a client. It’s nothing to mess around with. If you think there’s the slightest chance of a claim being filed, by you or anyone else, always report the incident to your insurance carrier. When you talk to your insurance adjuster, always be straightforward and completely honest. Don’t leave out any details, but don’t embellish or try to put a spin on the events, either. Be concise and clear and answer all of their questions. 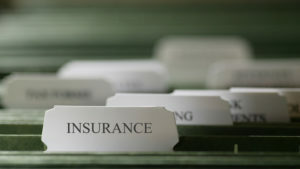 This is the best way your insurance company can help you. Dealing with the other driver’s insurance company, on the other hand, is tricky business. Never volunteer any information, and if you need to answer questions, be as brief and neutral as possible. Remember, there’s a strong likelihood they are looking for a reason to doubt or challenge your claim. Always remember, you are well within your rights to refer the other driver’s insurer to your car accident lawyer to gather further information. What Types of Personal Injury Might a Person Suffer? The most well-known of car accident injuries, whiplash is caused by a sudden movement of the neck and head (whipping forward, backward or to the side), which can cause serious muscle, ligament and tendon damage. Specifics of whiplash injuries vary from person to person, but can range from slight swelling and pain to serious effects like paralysis of the vocal cords. This can range from concussions to skull fractures and brain damage that results in coma, long-term cognitive problems, mood disorders and more. Many people suffering from TBI never fully recover and require lifetime treatment. Soft tissue injuries involve any area of the body that isn’t bone. This means damage to the muscles, internal organs, tendons and other fleshy areas of the body. These kinds of injuries can take years to heal and can even result in paralysis or permanent dysfunction. These are very commonly suffered by people involved in a car crash. Serious nerve damage can be caused by spinal injuries which can result in loss of sensation and strength in the extremities, and even result in permanent paralysis. Just as common is the herniated, bulging or slipped disk, which isn’t quite as severe as serious spinal damage, but can still cause lifelong impairment, numbness, weakness, pain and loss of sensation. Chest trauma can result from impacting the seat belt, steering wheel or other areas of the car. This sort of blunt force trauma can collapse lungs, break ribs and even cause cardiac arrest and internal bleeding, damage to the pelvis, abdomen and internal organs which require immediate emergency medical care. What Kinds of Car Accident Cases Do You Handle? When you pursue damages for injuries suffered in a car accident case, you need an experienced personal injury lawyer from a law firm that is dedicated to fighting for its clients’ rights every step of the way. At Ward Maedgen, we handle a complete range of car accident claims. Whether you’ve been involved in a car wreck, a truck accident, a motorcycle accident or any other sort of motor vehicle accident, we’re here to protect your rights and get you the compensation you deserve. Rear End Collisions: A rear-end collision can generally be assumed to be the fault of the other driver. There are certain situations where this is not the case, but these are specific and rare. They can still cause serious injuries, including whiplash and back injuries, but can sometimes be the easiest from which to collect damages. Side Impact Collisions: Side impact collisions can result from a variety of situations, the most common being what is colloquially known as the “T-Bone,” where one car is moving through an intersection and another collides directly with its side. Not at Fault Rollover Accidents: Rollover accidents result from a range of issues, usually those which involve a loss of vehicular control. Whether it’s bad road conditions, a driver behaving irresponsibly and going too fast, or any other condition, these can result in serious injuries. Distracted Driving Accidents: Distracted drivers are an epidemic problem on our roadways. Whether it’s eating and drinking, using a mobile device, playing with the stereo or reading a newspaper while driving, these irresponsible drivers can cause serious injury to even the most careful behind the wheel. Head-on Collisions: A head-on collision can result in some of the most serious injuries in a car accident claim, including death and permanent, lifelong disability. Motorcycle Accidents: Motorcyclists who are struck by cars suffer some of the severest damage of any car accident victim. Motorcycles don’t provide the protection that cars do, and their victims are open to the world, including catastrophic injury and death. Truck Accidents: Truck accidents cause some of the most serious damage of any vehicular incidents on the road, due to the sheer size and mass of the vehicle. From serious property damage to paralysis, death and injuries that can take many years or even a lifetime from which to recover, truck accidents are some of the worst out there. Drunk Driving Accidents: Drunk drivers can be a plague on the roads. With impaired judgement, slowed reflexes and sensory problems, people who drive under the influence can destroy lives of responsible drivers and their families, and can result in a sizeable personal injury claim or a wrongful death suit. Texting while Driving Accidents: Texting and driving is one of the most serious and common causes of distracted driving accidents. It’s common knowledge that using a mobile device while behind the wheel has the same impairment effects as drunk driving, and yet thousands of drivers do it anyway. If you’ve been the victim of an accident caused by another driver’s texting, call an auto accident attorney for help. Who are Common Accident Victims? If there’s one unfortunate truth about car accidents, it’s that anyone can become an accident victim at any time. That’s why it’s so important to have the services of a personal injury attorney like those at the Ward Maedgen law firm. Besides the driver of the vehicle, there are a number of other common potential victims of an automobile accident. While many people focus on drivers, very often the passenger of a vehicle can suffer a car accident injury. If this happens, you have legal rights and could be eligible for an injury claim not just against the other vehicle, but against the driver of the vehicle in which you were riding. Seniors are much more prone to debilitating injuries than younger people. The costs of treating these injuries can be very high as medical bill costs pile up. The injury or loss of a child can be utterly devastating. It can turn your life upside down even before the medical bills begin to pile up. A good auto accident lawyer can help to make sure your child’s injuries are paid for and you get the additional compensation you deserve for the emotional damage and loss. Millions of people across the nation commute to work every day, and these can become the victim of an irresponsible driver at any time. Whether you’re on a city bus that’s in a collision or you get into an accident while driving your own car, an injury lawyer can help pursue your accident case and get you the compensation you deserve. Pedestrian injuries from a traffic accident are almost always serious in nature, and an accident claim involving a pedestrian being struck by a car can involve equally serious damages, from the costs of physical injuries to emotional damage, pain and suffering and a wide variety of other compensatory claims. According to the NHTSA, there were 3,516 traffic fatalities across the state of Texas, with 1,219 taking place in urban areas. The Centers for Disease Control and Prevention list 611 accidents in the Dallas-Fort Worth region annually, which breaks down to a 9.8% accident rate. Among those aged 15-24, there were 135 accidents total, for a 15.6% rate. The key to determining whether you have a car accident claim is negligence. Negligence is the key legal factor in determining whether any auto accident case has merit. Some states have no-fault insurance, meaning that no matter who is liable for the incident, you file a claim against your own insurance company. Every driver has a certain duty to behave in a responsible and reasonable manner while behind the wheel of a car. This extends to not taking actions that would put other drivers in danger. One or more drivers behaved in a way that was counter to what a reasonable person would do in a given situation, and in so doing, violated that duty. This irresponsibility and unreasonable behavior was the cause of an accident, and the accident was the direct cause of the injury that you suffered. Proving this can involve a number of approaches and elements. An important factor to keep in mind is that Texas has what is known as modified comparative fault. This means that if you are found to be even a little at fault for the accident, the amount you can collect will be reduced by the percentage of your fault, and if you are found to be more than 50% at fault, you cannot collect damages at all. This means that if the accident is worth $200,000 in damages, and you’re found to be 10% at fault for the incident, your award will be reduced by $20,000—you will only be able to collect $180,000. If you’re found to be 51% at fault, you won’t be able to recover compensation for your injuries. When you’re in an accident, record keeping and evidence are paramount. You should exchange information—contact and insurance—with the other driver. You should, if possible, take photographs of the scene. The more pictures you can take from various angles, the better off you’ll be. Having police at the scene can be of help as well, as a police report can go a long way towards backing up your claim. If there are any witnesses, get their information as well. If you receive medical attention, keep careful and detailed records of all of your expenses, your treatments, medication, doctor’s appointments and rehabilitation. Again, the more information you have the better off you are. The next step to take is to seek the services of a qualified accident attorney. An injury attorney will know how to fight for your rights and help to get you the full compensation you deserve for your accident, and a good attorney will offer a free consultation and will work on a contingency fee, meaning they don’t charge you unless they win your case. What If the Other Driver is Under-insured or Uninsured? Sometimes, the driver responsible for an accident doesn’t have enough insurance to cover the damages. In this case it can be helpful if you carry uninsured or under-insured motorist insurance, or pip coverage (personal injury protection). These forms of insurance are in place to protect you when you’re hurt and the other driver isn’t able to pay your damages. Your insurance provider can talk to you about whether this coverage is available, its limits and what the costs might be. If you need legal representation for your accident or personal injury case, the experienced attorneys at the Ward Maedgen law firm are here to help. We offer professional, confidential and affordable representation to clients across the Dallas metropolitan area and can handle all manner of auto injury claims. Ward Maedgen is a former district attorney who is caring and driven to help those who have been the victims of injustice, and will seek to help you get the compensation you deserve. With decades of trial law experience, our firm is ready to defend your rights as a victim against bullying insurance companies and non-payment tactics of those responsible for your suffering. For more information or for a completely free case consultation, give us a call or contact us online today. There’s no fee unless we win your case, and we look forward to working with you. One of the most well-known and common injuries from car accidents is whiplash. Whiplash from car accidents can range from mild to serious, and can result in expensive and long-term treatments. For some, whiplash is only the first indicator of even more severe injuries which can require a lifetime of recovery. The attorneys at Ward Maedgen have years of experience protecting the rights of victims, and can help you recover compensation for the medical bills and suffering caused by your whiplash from car accidents. Whiplash is an injury to the neck that is caused by sudden, rapid and forceful motion, or whipping your head forward and back. It is most often seen in car accidents where one party is rear-ended, but it can occur from any incident that causes the head to whip around. It carries a number of symptoms ranging from mild pain to severe spinal injuries, and is sometimes confused with a common neck sprain. It’s a good idea to see a doctor any time you’re involved in a car wreck. You never know when you might be injured and not realize it—some injuries can take days or even weeks to develop, and catching them early can be a key to effective treatment. Not only will waiting sometimes make your injury worse, it can in some cases make it harder to pursue an injury case for compensation. This is because insurance companies will use the delay to cast doubt on the severity of the injury. The sooner you are seen by a doctor, and the better your records, the better your auto accident case will be. Car accidents—especially rear-end collisions—are the leading cause of whiplash. This condition is usually mild, with people recovering over a period of a few months, but it can be severe enough that people suffer for years after the incident. The act of your head whipping forward can also result in other injuries like brain trauma which can have lingering effects for decades or even for life. It’s vital, if you’ve been in any car accident involving brain injury, to seek help from a qualified professional car accident attorney. At Ward Maedgen Law Firm, we have decades of experience helping people seek justice and protecting the rights of victims, and we’re here to help you as well. Just contact us online, or give us a call today for a free, no-obligation consultation about your case to learn how we can help you. Traumatic brain injury has been a hot button issue in the news and in scientific circles for a number of years now. While the stories we hear are usually focused on protecting athletes from repeated concussions and the lifelong damage that cause, the truth is over 50% of all brain injuries come from car wrecks. Victims of TBI can be in for years, even a lifetime, of rehabilitation and recovery, and the costs can be significant. As medical bills pile up and relationships deteriorate, it can turn a family’s life upside down. Learn what your options are if you’ve suffered traumatic brain injury from a car accident, and how an injury attorney can help you get compensation. Traumatic brain injury, or TBI, occurs any time an impact creates a force that penetrates the skull. This could mean a fracture or break, or it could be the brain moving around inside the skull. TBI and car accidents are closely connected. Any time a person suffers whiplash, strikes the steering wheel or dashboard, or even impacts the airbag, they can suffer a brain injury. 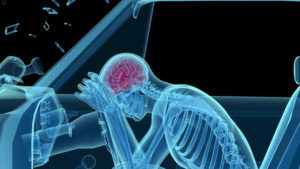 The trauma that causes traumatic brain injury from a car accident can involve contusions (bruising) or even hemorrhages, which is bleeding on the brain. These injuries may not be immediately noticeable, especially if there’s a lack of blunt trauma or visible wounds. When a person suffers TBI from a car accident, the effects may not be immediately be noticeable. It can take days, weeks or even months for the full effects to become evident. This is why it’s so important for anyone who is in a car accident to see a doctor right away and get checked out. The severity of symptoms will depend largely on how serious the initial injury was, how early the problem is diagnosed and treatment begun, the resources that are available to help with recovery, the specific symptoms and their effect on the victim’s life, and a range of other factors. It’s vital for anyone who has suffered an injury like this to get treatment as soon as possible. If you have been injured in a car accident, you may be eligible to collect a range of damages to not only help your recovery, but to help pay bills and make ends meet while you convalesce. These damages can include payment of all of your medical expenses, recover lost wages and income, plus lost future potential earnings, plus damages for emotional trauma, loss of relationships and comfort, pain and suffering and other conditions. It’s important, however, to have the services of a qualified car accident attorney to get the maximum possible compensation. If this has happened to you, call the law offices of Ward Maedgen for a free evaluation of your case today. Getting rear-ended is one of the worst feelings imaginable. There’s very little that can cause so much anger, confusion and rage as when someone else drives into the back of your car. These kind of accidents are also, unfortunately, some of the most common kinds of car crash and can also create some of the most serious, long-lasting and debilitating injuries. When you’ve been rear-ended by another driver through no fault of your own, you deserve to have your injuries covered and be compensated for the damages you’ve suffered. Learn about rear end collisions, the damage they can cause, and how a Dallas car accident lawyer can help you get compensation in your case. According to the NTSB, there were over 1.7 million rear-end collisions just in the year 2012, with 10% of those being fatal and a further 500,000 causing injuries. Not only are these kinds of accidents frighteningly common, they are also a leading cause of injury. The cost of these damages ranges into the millions of dollars every year. Traumatic Brain Injury: This second common injury occurs when the brain is impacted against the skull, causing a range of physical, cognitive and emotional problems that can last for years or even a lifetime. Broken Bones: A common injury suffered in many kinds of car accidents, broken bones can be devastating in the short term, but usually heal up. Disfigurement and Scarring: Damage from a car injury can cause permanent disfigurement. Whether it’s from serious cuts or burns, a person’s appearance can be altered forever, and can often be associated with chronic pain. 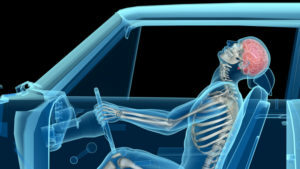 Paralysis: In some of the worst cases, the victim of the car accident can be left partially or totally paralyzed. Proving fault is the major factor in collecting damages from any car accident. In Texas, we operate on a modified contributory negligence standard, which means that each driver’s degree of blame factors into how much can be collected in damages. For example, in an accident worth $200,000, a driver who files a claim for compensation but is found to be 20% responsible can only collect $160,000 of the total. If that driver is found to be more than 50% responsible, they can’t collect at all. This means proving fault is essential. There are several factors that go into demonstrating negligence in a rear-end collision. First, the rules of the road hold that the person who rear-ends another is almost always at fault for the accident. Some factors can reduce liability. If you stop suddenly in a busy road, if your tail lights are out, if you didn’t completely pull off to the side of the road or similar, you might be partially at fault. The best way to get the most compensation for your accident to cover your medical bills, pain and suffering and lost wages, is to hire a Dallas car accident lawyer. If you’ve suffered this kind of injury, call the attorneys at Ward Maedgen Law today and let’s talk about your case at no cost. There are a number of reasons why a car might roll over. The injuries from these sorts of accidents, however, are very often fatal or catastrophic in nature, second only to a head-on crash in terms of severity. Some vehicles are more well-known for their propensity to roll over than others—SUVs, for example. The damages caused by this sort of crash can turn a family’s life entirely upside down. They can ruin relationships and lives and the sheer monetary expenses of hospital and treatment bills, even of funerary expenses, can be devastating. You can face the consequences of rollover accidents and seek compensation for the injuries you suffered with the help of a Dallas car accident attorney at Ward Maedgen Law. According to the NHTSA (National Highway Traffic Safety Administration), in the year 2010, rollover car crashes accounted for nearly 35% of all fatalities among car wrecks. The majority of these accidents—a full 95%—are caused by a phenomenon known as “tripping,” which happens when a car’s tire encounters something that interferes with the vehicle’s forward motion, causing it to pitch sideways. This could be anything from a ditch or a curb to soft soil or even a bump in the road. SUVs and minivans tend to be more prone to tripping due to their higher center of gravity. This can be particularly true if there are design flaws in the vehicle. Other factors that can play into a rollover include weather or road conditions and the negligence of other drivers. Seeking compensation for a rollover accident can sometimes be trickier than for other kinds of car crash. The first step is to determine the reason and who was at fault. For example, if your vehicle had defective brakes, tires or the like, you might have a product liability suit against the manufacturer of those parts. If another driver was behaving irresponsibly, running you off the road or causing you to swerve, they might be at fault for the accident. If you’re experiencing poor road conditions and the local municipality or owner of the property (if a private road) failed to maintain the road properly, a personal injury suit or premises liability case could potentially be at hand. Many of these lawsuits can be very complex to pursue. Premises liability suits, for example, can involve a lot of factors, and filing a suit against a municipality involves all manner of special rules, statutes and limitations. With all these special circumstances in place, it can be difficult to know how to proceed. This is why you need the help of an experienced and qualified car accident attorney. A Dallas rollover accident lawyer will be able to analyze the details of your case and determine not just who was responsible, but what kind of case to pursue, so you can gather the right information and prove the necessary factors involved. At Ward Maedgen, we have decades of experience in protecting the rights of our clients, and we can help you pursue compensation you deserve for the injuries you’ve suffered. Get in touch with us for a free case evaluation today. For decades we’ve been aware of the dangers of driving while intoxicated, but in more recent years, especially since the advent of mobile devices, we’re becoming more aware of the dangers of drivers who are simply distracted. This sort of driving violation is becoming epidemic and the risks posed are every bit as serious as those from drunk drivers. If you’ve been involved in an accident with another driver who was distracted behind the wheel, your best bet to get compensation is with the help of an attorney. At Ward Maedgen, we have helped many Dallas area victims protect their rights, and we can help you get the damages you deserve. According to the Department of Transportation, there are well over 3,000 fatalities from distracted driving incidents every year, with half a million injuries occurring from mobile device-related distractions alone. Teen drivers are more prone to this sort of accident, but anyone can be involved in this sort of incident. There are two different types of traffic laws—primary and secondary. Primary laws are those for which a driver can be pulled over and cited. Speeding and reckless driving are primary laws in every state. Secondary laws are those for which you can’t be pulled over, but for which you can be cited if pulled over for another violation. In Texas, distracted driving, specific to mobile device usage, is a primary offense for bus drivers and for novice drivers. While it isn’t expressly a secondary offense for other drivers, it can form a part of reckless driving, and it can certainly be used to demonstrate fault in a personal injury claim. When you’re involved in a car accident, collecting damages for your lawsuit requires proving that the other party was at fault for the incident. In Texas, the degree of each driver’s fault will play into how much in damages you can collect. This is called modified comparative fault. The total amount of the accident value will be reduced by the percentage of fault you are deemed to hold, and you can’t collect damages if you’re more than 50% responsible. In general, when you’re involved in an accident with a distracted driver, there are a number of factors that come into play to prove fault. You’ll need to demonstrate that the other driver was doing something other than paying attention to the road: using a mobile device, having a conversation with a passenger, eating and drinking, reading a book, or anything else that took their eyes away from the environment around them. Distracted driving doesn’t have to be illegal to be a factor in a civil suit. This is essential to remember. Your best bet to pursue damages from an accident caused by a distracted driver is to talk to a personal injury and car accident attorney. Not only will an attorney know how to move your case forward, they can collect records and evidence vital to your case—gaining a subpoena for phone records, for example. At Ward Maedgen Law, we’ve defended victims of injustice in Texas for many years, and we look forward to helping you get justice for the injuries you’ve suffered. Get in touch for a free discussion of your case details today. Drunk driving is nothing short of an epidemic in our country. With all that we know about the dangers of this activity in this day and age, one would think that incidents would be well on the decline. Unfortunately, there are still record numbers of these accidents taking place all over the country. The sheer irresponsibility of such an incident boggles the mind, and when you’re injured by a drunk driver, you deserve to be compensated for the harm you’ve suffered. Obtaining compensation for a drunk driving accident requires help from an experienced and qualified Dallas personal injury lawyer like those at Ward Maedgen. Learn more about how a drunk driving injury suit progresses, and how a qualified car accident attorney can seek compensation for your injuries. According to the NHTSA, traffic deaths across the United States were up by 7.2% in the year 2015, with over 35,000 deaths that year, the largest increase in almost 50 years. Texas had the highest number of drunk driving deaths that year, with 1,323, and tied for third in the percentage of DUI-related fatalities at 38%. These numbers are mind-boggling, and any driver who is injured in an accident where the other driver was operating a vehicle under the influence has a right to be enraged, and to collect damages for their injuries. The first step is knowing against whom you can file a lawsuit. Of course, the person behind the wheel is absolutely responsible for their own actions, but in Texas we have what are known as dram shop laws. The state’s Alcoholic Beverage Code allows a victim of a drunk driver to sue the establishment who sold them the alcohol if their patron who caused the accident was under 18, or was obviously intoxicated to the point where they present a danger to themselves or others. Similar laws apply to those hosting parties and gatherings who serve alcohol. Proving liability in a drunk driving accident requires three factors. The first is establishing that the driver had a duty of care to act responsibly and protect others from harm. This is probably the easiest factor to deal with, since it applies to all drivers on the road. The second factor is proving that they were acting irresponsibly, in a way counter to that of a reasonable person. If they were demonstrably intoxicated, this meets that qualification, as everyone is aware that drunk driving is irresponsible and dangerous. The final factor is that their irresponsibility directly resulted in the accident that caused you harm. If all three of these factors can be demonstrated, you have a case to collect compensation for your injuries. There are a range of damages you can collect with the right help. This can include all of your medical bills, damages for pain and suffering, lost wages and future earnings, emotional trauma, loss of consortium, comfort and relationships and even punitive damages. However, proving this and fighting an insurance company who will do all they can to avoid paying out requires experienced legal counsel. For many years the car accident attorneys at Ward Maedgen have helped to protect people’s rights when they need it. We can battle the insurance companies, and we can get justice for the harm you’ve suffered. Call us todayfor a free case discussion of your Dallas drunk driving injury suit. Texting while driving falls under the overall umbrella of distracted driving. When a person is behind the wheel of a car they’re supposed to be paying attention to what’s around them. They aren’t supposed to be looking at Facebook or Instagram, texting a friend or doing anything that divides their attention from the road. Unfortunately, too many people are dismissive of the safety issues involved with mobile devices behind the wheel and hundreds of thousands of people get hurt or die every year as a result. At Ward Maedgen Law, we take incidents of texting while driving lawsuits very seriously and we can help you get compensated for your injuries. Every year, there are around 3,300 deaths that occur from fatalities involving distracted driving, according to figures from the Department of Transportation. The DoT also indicates that around 500,000 people are injured because of texting and driving, with almost 70% of drivers under the age of 64 admitting to using their phone while behind the wheel, in the 30 days prior to being asked. Using a phone behind the wheel of a car increases the possibility of an accident by 23 times, and has been shown to impair driving just as much as being drunk. Because of this, more states every year ban the use of cell phones while driving. In Texas, it’s illegal for bus drivers, drivers under 18 or those who have been driving for less than 12 months to do so. However, the legality of the act does not preclude filing a personal injury case if you’re hurt by a texting driver. Texting while driving lawsuits are personal injury cases, and these follow different regulations than criminal law. In a personal injury case you don’t have to prove that what the other driver was doing was illegal; you need to prove that it was irresponsible and negligent. This means that the other driver, by behaving irresponsibly, violated a basic duty of care towards other drivers on the road, and this negligence caused the accident in which you were injured. If you can demonstrate that they were texting while driving, you have a good chance of collecting compensation. Distracted driving is such a danger and so irresponsible that there are chances to collect serious damages. 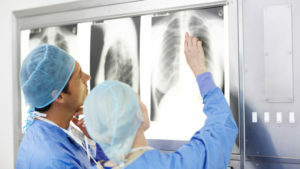 In just about any personal injury case, you can get compensation for medical bills past, present and future, you can recover lost wages and potential lost future income, and you can recover damages for things like pain and suffering, emotional trauma, psychological damage, loss of comfort, consortium and relationships and the like. In these cases, especially if the behavior was particularly egregious, you may also be eligible to collect significant punitive damages against the driver as well. Getting this compensation, however, requires seeking the right legal help. Your best bet to collect compensation for the damages you’ve suffered is to hire a qualified Dallas car accident attorney. Experienced attorneys can help you pursue your texting while driving lawsuits, stand up to insurance companies who go to lengths to avoid payouts, and help to ensure you get the maximum value for your case. At Ward Maedgen Law, we’ve helped Dallas area clients for years to get justice for the ways they’ve been wronged by the system, and we can help you as well. Give us a call to discuss your testing and driving case at no cost today. When you’re in a car accident, your entire life changes in an instant. Even if you don’t feel injured right away, you’re confused, scared, angry and you may even feel desperate. Many people don’t know what to do in those first moments, and that can lead to critical errors that can cost you in the long run. Even if you don’t feel hurt, if you’ve been in an accident that’s not your fault, you need to take the right steps to protect yourself. You deserve compensation for the damages you’ve suffered, and doing the right things at the scene is your first step. After you get home, the experienced car accident attorneys at Ward Maedgen can help you get the compensation you deserve. The first thing you need to do in a car accident is to ensure that everyone is okay. Immediately call for first responders to the scene, and check on everyone’s status. Make sure that anyone (including yourself) who may need medical attention is seen. Talk to the other driver. Exchange contact and insurance information. Speak to any witnesses at the scene and get their information as well. If police arrive on scene, make sure that a report is filed and you get the information from the officer. However, never apologize or admit to anything. At this stage anything you say can be crucial to pursuing your claim later. Take photographs if you can. The more photos you can get, from a wide variety of different angles, the better able you’ll be to back up your claim. You’re gathering evidence that will support your case later on. The next thing you need to do after you get home, is to report the incident to your insurance company. Even if you think the accident was minor, it’s important to let your insurer know. You never know when you’ll need to file a claim, or if the other driver will and it’s better to get in front of it. Call as soon as possible and be honest and transparent about what happened. Be brief and stick to the clear facts. Don’t leave things out and don’t try to spin them to your advantage. The next, and arguably most important step you should take after a car accident, is to call upon a qualified and experienced car accident personal injury attorney. An accident lawyer will fulfill many important roles in your case. They’ll be able to deal with aggressive insurance companies who will go to great lengths to avoid paying out on your claim, from strong arm tactics to get you to sign away your rights to attempting to blame you for the accident. A solid lawyer will be able to examine the details of your case and advise you on the best way to proceed. While no case is ever guaranteed, a qualified and experienced injury lawyer can be your best chance to get compensated for the injuries you’ve suffered at the hands of an irresponsible driver. When you’re in a car accident and it was the fault of another irresponsible driver, you know that you deserve to be compensated for your injuries. The range of damages for which you can gain compensation is broad, from measurable financial losses to more subjective emotional damages and even punitive damages in very bad cases. However, there are a number of factors that influence car accident settlements and the compensation you can receive. Ward Maedgen attorneys are pleased to offer this primer on these factors, and what you can do to have the best chance at compensation. These factors and others all combine to play into the compensation you can receive. The first, and arguably most important, factor in the value of your accident case is how consistent you are with your story. You’re going to be asked about what happened multiple times over the course of the intervening days and weeks. The more consistent you are about what happened, the better off you’ll be when it comes time to collect. This means you should be clear, concise and straightforward about what happened. Don’t try to embellish the story or spin it in any way. This is a technical, legal-sounding term, but what it means is that the more evidence you have to backup your story, the better off you’ll be. When you’re in an accident, you should take all the photos you can, gather up as many witnesses as you can, get a police report if possible. The more evidence you can build up, the better off you’ll be when it comes time to prove fault. Often, car accident injury cases come down to battles between insurance companies. Insurance adjusters will look at every angle of an accident and explore every detail. This means they’ll also talk to your doctor and any other medical professionals who have treated you during the course of your recovery. The opinions of these people will weigh heavily in the decision regarding the value of your case. The insurance company will look at how you live after the accident. If you’re claiming a back injury, for example, but you’re seen carrying heavy loads around town, this could cast doubt on your claim. Make sure that your claims are accurate and honest, and supported by the verifiable life difficulties you suffer. Among the most important factors that influence car accident settlements is having a good Dallas car accident attorney in your corner, like those at Ward Maedgen. For many years we’ve protected the rights of our clients, and we have the experience and knowledge to help you. If you’ve been hurt in the Dallas area, call us for help today. There’s no cost for the initial consultation and no fee unless we win your case. It would be nice if getting compensation for your injuries were as simple as having the responsible party step up to the plate and pay out. Unfortunately, few accident cases proceed that way. Usually there’s a process of negotiation between you and your attorney, and the insurance company and/or lawyers of the other driver. On its surface this process is fairly basic, but it can sometimes reach an impasse. The best way to negotiate your car accident settlement is to have a solid attorney in your corner. Ward Maedgen Law in Dallas is happy to provide this look at the process of negotiating a car accident claim so you have some knowledge to get you started. Before you begin negotiating, you need to know how much your claim is worth. Your attorney can help you with this. The first step is to determine “special” damages, or those damages with objective financial value. These include your lost wages, lost capacity for earning, medical expenses and property damage. Calculating past damages is easy enough if you’ve kept good records of your claim. Future expenses can be a bit more difficult and requires talking with your doctors and other medical experts regarding how long it’ll take you to recover and how completely you will recover. Once you’ve determined the value of your case, you’ll issue a demand letter to the insurer of the other party. This letter will outline the injuries you’ve suffered and the value of each, and the total that you are requesting in payment. In the best of all worlds, the other side will agree and pay out. More often, however, you will get a letter back, which counters your offer by challenging one or more (sometimes all) of your claims in your demand, and issues a (usually low ball) counteroffer. Now the process of negotiating a car accident claim starts. This is a dance of offer and counter between your attorney and the other driver’s team, each compromising a little here and there until both sides arrive at a mutually beneficial solution. The process can take a few weeks or sometimes can drag on for months. Occasionally, the two parties cannot reach an acceptable settlement. In such cases where negotiations stall, then other measures need to be taken. When negotiations fail, the options left are third-party resolutions such as mediation or arbitration, where a neutral third party steps in to help the parties involved overcome their disputes. If these fail, the process will go to trial, which means your case will likely be all or nothing. In any dispute situation, it’s vital that you have a solid auto accident attorney in your corner. Attorneys like those at Ward Maedgen know how to get to the heart of a claim, argue your case and help to pursue the maximum possible compensation. If you’re in the Dallas area and need help negotiating an injury claim from a car accident, we can help. GET FREE CONSULTATION CALL WITH WARD NOW!